Another new proposal for Manchester. Charlotte Rene Woods wrote: A group focused on the cohousing trend has a site in mind and a veteran developer on board to help it bring the concept to Richmond. 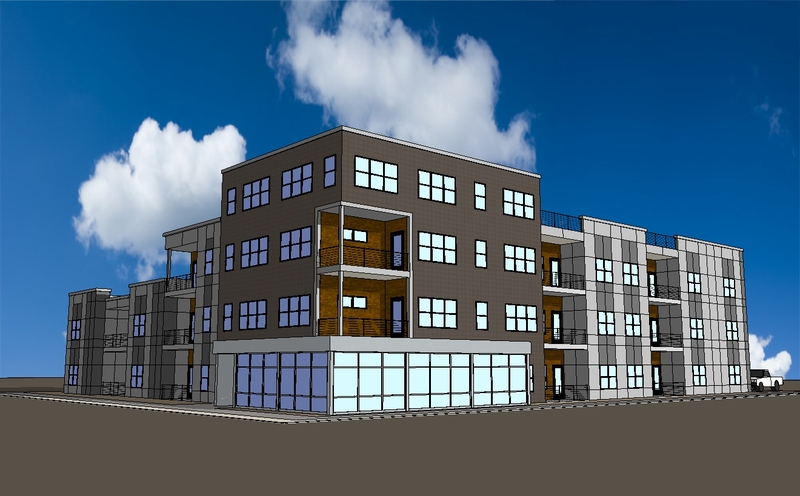 Richmond Cohousing is working with seasoned Richmond development firm Robin Miller & Associates to create a four-story, 19-unit condo project to 901 Porter St. in Manchester. The building will have privately owned condos ranging from one to three-bedrooms, each with a full kitchen. Staying true to the mission of cohousing, the building’s design will be centered on a common area that includes a kitchen, dining and meeting area, as well as a play area for children. The space can be utilized for planned and spontaneous gatherings and interactions.